Celebrated in a film featuring Omar Sharif in his final role, meet the scientist known as the "Father of Optics," Ibn al-Haytham! During the golden age of science, knowledge, and invention in Muslim civilization -- also known as the "Dark Ages" in Western Europe -- this incredible scholar discovered how we see and set the stage for the methods we now know as the scientific process. Packed with beautiful and engaging photos, kids will learn all about this fascinating scientist. The Level 3 text provides accessible, yet wide-ranging, information for independent readers. This book is a companion to the international educational campaign, "1001 Inventions and the World of Ibn al-Haytham," that includes interactive exhibits, workshops, live shows, and a 12-minute film starring Omar Sharif in his final film role before his death. I learned quite a bit reading this book. While I was already aware of the basics of how the eyes work. 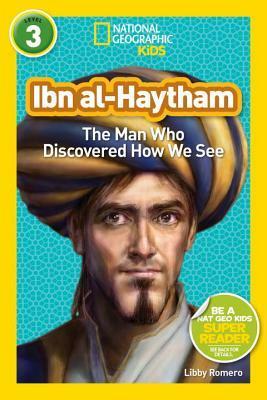 I wasn't aware of Ibn al-Haytham and his work that helped the world learn about vision and light. The book is well done, as are all National Geographic Kids books. And I appreciated the author pointing out the gaps we have in what we know about the man. But there is enough here to be interesting. And it's great that the subject of this biography is a lesser-known individual. I know my library needs more books about lesser-known individuals who have made a difference in the world. these unlikely pairings and animal best buddies. Animals can surprise us humans sometimes. Which makes books like this one fun to read. 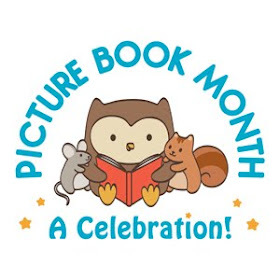 Children especially love stories about animals. Stories like the three included in this book demonstrate that there is far more to animal emotion and intelligence than humans sometimes think. The first story made me laugh at the antics of a chicken and a disabled little dog. The second story focuses on the bond between a donkey and a goat. 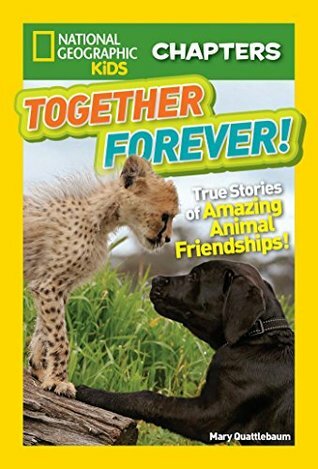 The third story focuses on the relationship between a dog and a young cheetah intended to help the cheetah learn to socialize and prepare to join the other cheetahs in the zoo. The attractive design, gorgeous photographs, and easy text make this a great nonfiction chapter book series.